A partnership with Flipkart could have unleashed a formidable force in terms of a voice-based shopping experience - Google's strength in building an online shopping ecosystem, along with its AI-powered speaker Google Home. Back in April, the buzz was that Google's parent Alphabet would likely invest $1-2 billion post the Walmart-Flipkart deal. The rumour gained steam since Alphabet and the brick-and-mortar behemoth already have a partnership in the US since last year, wherein Walmart products are sold on Google Express, its online shopping mall. Furthermore, Google sells Walmart products through Google Assistant on Google Home, its voice-controlled speaker which competes with Amazon's Echo. However, according to The Economic Times, Google's plans for Flipkart have fallen through due to opposition from the homegrown e-tailer's senior management. Sources told the daily that the latter felt that Google could turn out to be a potential rival in the future since it is lining up its own e-commerce venture. The concern was that Google would leverage on Flipkart's database to push its own retail venture in India. "This is all speculative and we currently have no plans to bring Google Express to India," a company spokesperson told the daily. 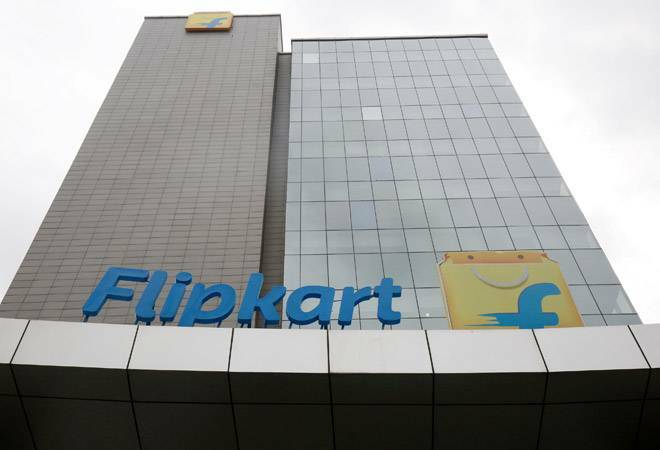 The report added that Walmart's investment in Flipkart is part of its global plan to check the dominance of its rival Amazon in the retail space. That is why it was keen to have the search giant on board in the Flipkart deal. That apart the partnership would have proved a formidable force in terms of a voice-based shopping experience - Google's strength in building an online shopping ecosystem, along with its AI-powered speaker Google Home, could counter the threat from Amazon, with its Alexa-powered Echo smart speakers and internet-streaming services Amazon Prime Video and Music. Google, incidentally, is not the only setback that Walmart has had to deal with. The Beast of Bentonville is still awaiting the green signal from the Competition Commission of India (CCI) for its proposed $16-billion majority stake acquisition in Flipkart amid protests by trader organisations. It has been eyeing the Indian market for a decade now but so far has remained confined to a 'cash-and-carry' wholesale business - it currently operates 21 such stores - amid tough restrictions on foreign investment. Moreover, its push into e-commerce comes soon after Amazon started embracing offline retail. Last year, Shoppers Stop raised Rs 179.25 crore from global e-commerce giant Amazon by issuing equity shares, amounting to 5 per cent stake, on preferential basis. According to the daily, while Walmart hopes to leverage Flipkart's vendor base, it also has plans to use its Indonesian experience where it had partnered with local mom-and-pop stores to deepen its presence. "We believe the combined capabilities of Flipkart and Walmart will create India's leading e-commerce platform," Rajneesh Kumar, senior vice president, Walmart India, said in a statement earlier this month, adding that the deal with Flipkart will not only prove beneficial for small supplier and farmers, but will also generate employment. Now, if only the Confederation of All India Traders (CAIT) would agree with this logic. The umbrella association representing millions of traders has slammed the Flipkart-Walmart deal, alleging that that it will encourage malpractices and predatory pricing in e-commerce in the absence of any monitoring mechanism and create an uneven level playing field where offline and online traders will be unable to compete. Praveen Khandelwal, CAIT's secretary general has even threatened to move Supreme Court if the government does not intervene soon.